The Karpos Lastei Vest capitalizes on the secrets of physiology and Italian design. If your core stays warm, your extremities are magically less likely to get cold as well. If you use the right materials, you won’t get bogged down with sweat or bulk. If you go sleeveless, pack-space requirements are kept to a minimum. 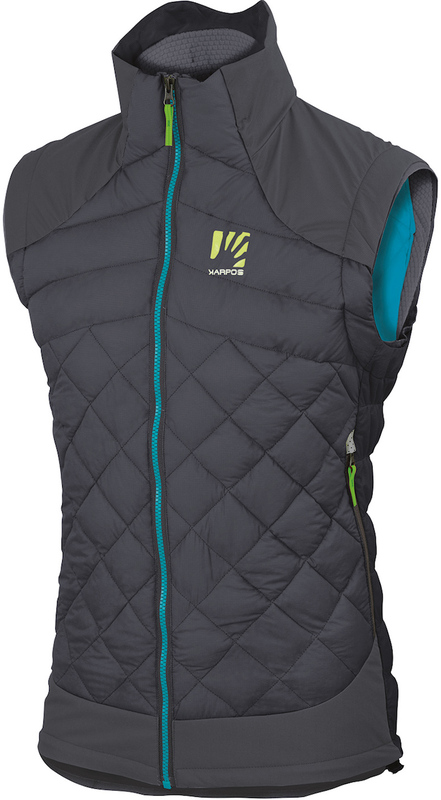 Karpos took advantage of all these ideas with the Lastei Vest. K-Dry is a durable, waterproof fabric that was strategically placed in high-stress areas such as the neck, shoulders, and hem to seal out the elements. The main front and back panels are K-Shell, a breathable fabric that’s DWR-treated to repel precipitation. Stretchy side-panels hold the front and back halves together with great flexibility and breathability. 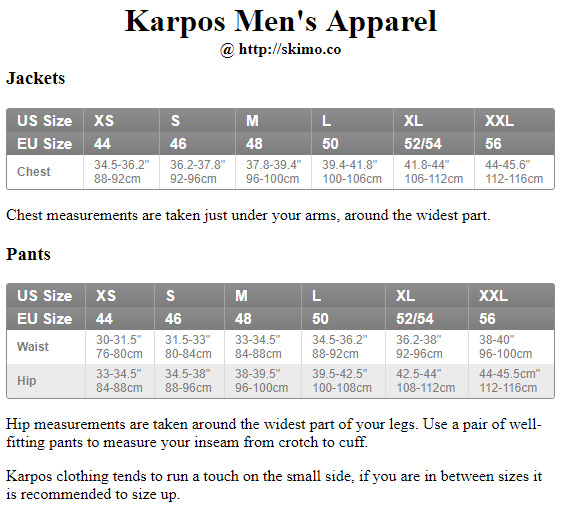 Yes, vests can be high-tech and good-looking at the same time, kudos Karpos! Thermal material lines the collar and arm holes for improved comfort. Two front pockets open and close by way of a minimalist zipper. Drawstring closes the vest around your waist for improved heat retention. K-Shell is DWR-treated shell with breathability while stopping weather in its tracks. K-Dry along the neck, shoulders, and hem passes the 10,000mm water-column test. K-Synthetic Down Micro makes up the back and chest panels for reliable performance. PrimaLoft Silver Active 40 insulation on the shoulders, sides, and waist is warm and dry.